A beadweaving stitch made with seed beads which looks like bricks stacked on top of each other. Often used in triangular fringed earrings. 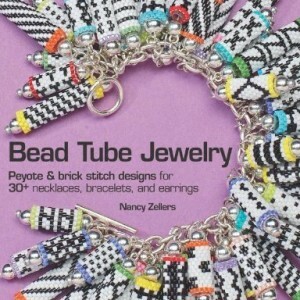 Looks somewhat like peyote stitch sideways, although they are made differently. 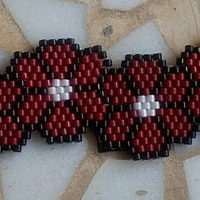 Brick stitch is a traditional beading technique that has been used for centuries and forms the basis for many pieces of jewelry and accessories made today. Brick stitch is also sometimes called Cheyenne Stitch, Comanche Stitch, or bugle stitch. 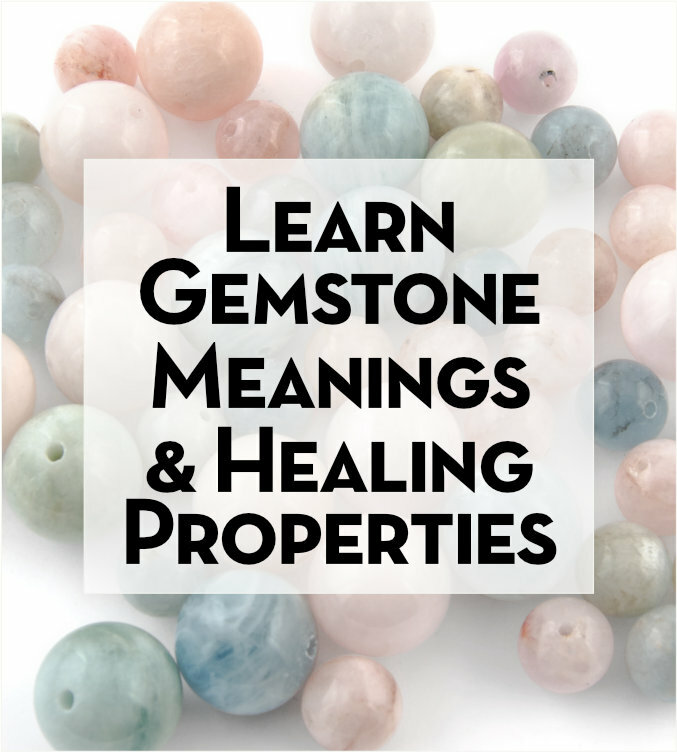 It is most often used with seed beads or bugle beads. A brick stitch piece is started by sewing a series of beads together so they lay side-by-side, sometimes called a “ladder”. Layers are added to the base one row at a time, by sewing through the stitches holding the lower layer together. Since the beads are adhered in this fashion, the final piece has an offset appearance, much like a brick wall. This technique also narrows the piece, so in order to keep a uniform width a bead will have to be added to each row. Native Americans used brick stitch in many of their garments and artwork. The Comanches used brick stitch to embellish bags, cradles, garments and other items. Iroquois artifacts featuring offset rows of beads similar to the brick stitch have been found in wrist and hair bands. This may have been an early form of brick stitch. The Totadaho Belt, dated late 1750’s, is an early example which was probably worked in long strips of bugles and then stitched together, making an offset appearance that looks like brick stitch. Examples of brick stitch beadwork items and techniques have also been found in Guatemala, Africa, and the Middle East. 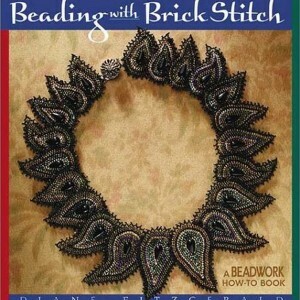 Early books with brick stitch techniques used the term “bugle beading” and had projects such as “bugle earrings” and “bugle pendants” where the designs started with a ladder of bugles and then worked into seed beads or more bugle rows. Kimberly Chapman’s Brick Stitch Instructions – very detailed photographs and notes. 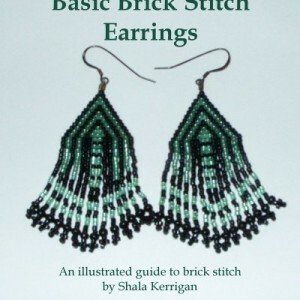 Deborah Walker’s Cheyenne-Brick Stitch Instructions – illustrated instructions, specifically geared at creating fringe earrings. (This is hosted on a free site, so there are some pop-ups). 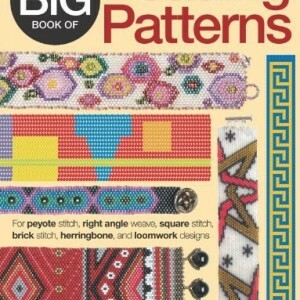 Shala Kerrigan’s Graph Paper – includes brick stitch graph paper as well as many other kinds of beadweaving stitches.